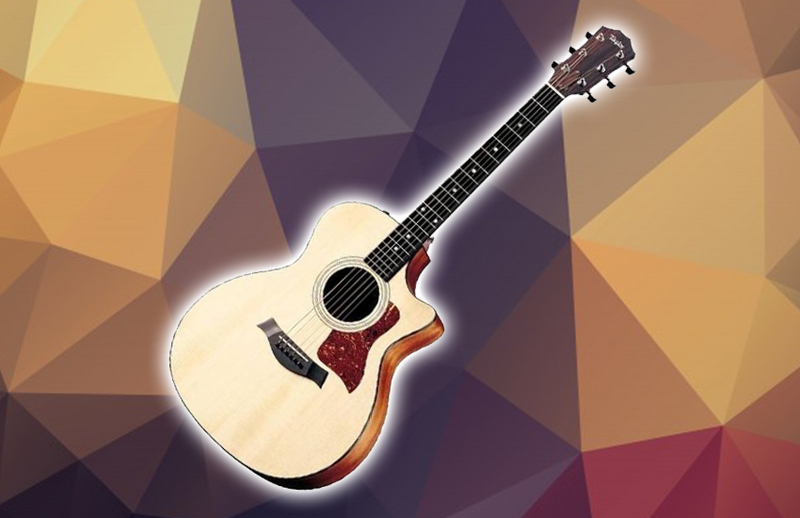 Taylor’s signature Grand Auditorium (GA) figure, which has a symmetrical hourglass contour, is the brand’s most popular body shape. This is largely due to its versatility that makes any guitar a perfect weapon for both flatpicking and fingerstyle kinds of guitar players. One popular Taylor acoustic guitar with the GA body shape is the Taylor 314. This guitar is an “entry-level” instrument, except it does not come with an entry-level price tag. In fact, it costs more than a thousand dollars. There is a lot to love about this relatively expensive acoustic guitar, though — it is made in America (for what it is worth); it has an all solid wood construction; it has premium components. Hardware aside, this guitar boasts more volume, longer sustain, and better intonation. But, is the price for the Taylor 314 justifiable? Check out what we think about this guitar. The Taylor 314 acoustic guitar is made of a solid Sitka spruce top and solid sapele back and sides with V-class bracing. This guitar has an ebony fretboard, Tusq nut and Micarta saddle, and nickel tuners. It also has a black binding, a 3-ring rosette, a black pickguard, and Italian acrylic small diamond fretboard inlays. shape, this is a non-cutaway acoustic guitar. If you do not have plans to play in the upper register, this is the right model, to begin with. In terms of sound, the GA body shape helps deliver the original acoustic voice and contributes largely to the overall quality. The sapele back and sides have clear, focused, and bright tone. And you will be surprised by the Taylor 314’s well-balanced tones and clear, well-defined notes. Additionally, the custom calibrated Elixir Light strings have extra power to them that optimizes well the tone of the guitar. This results in bolder highs, fuller lows, and more overall warmth. Be it a studio mix or on stage, the Taylor 314 can establish a clear presence when in company with other instruments without overwhelming them. The Verdict: Should You Buy Taylor 314CE? 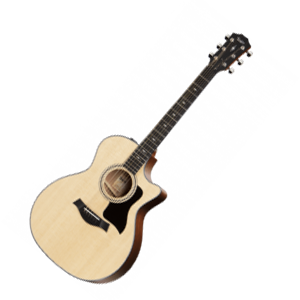 The Taylor 314 is an excellent all-rounder, whether you are a strummer or a fingerpicking player. It is the type of an acoustic guitar that is perfect for beginners that pro players will also love to use. You get a bright and responsive sound, high-quality durable tonewood as well as the clean, minimal, and symmetrical look of a traditional acoustic guitar for good measure. It also comes with a premium Taylor hardshell case. Going back to the first question: Is the price for the Taylor 314 acoustic guitar justifiable? Absolutely! A reputable brand like Taylor will not deliver an average acoustic guitar with a premium price tag. Whether you are a pure acoustic guitarist or simply do not need a pickup, the Taylor 314 gives you a run for your money.